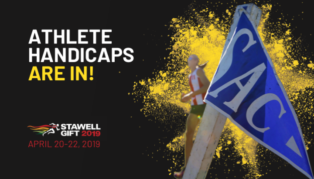 Handicaps for the 138th edition of the Stawell Gift Carnival are in! 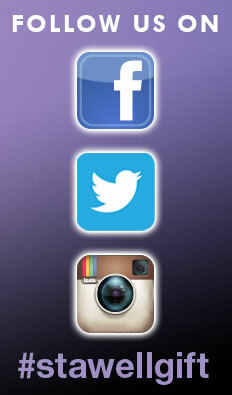 Check out where you, and your competition, are starting from in this year’s carnival. The Victorian Athletic League has announced the handicaps for all athletes competing in this year’s Stawell Gift Carnival, held over Easter from Saturday April 20 to Monday April 22. A total of 159 men have been given handicaps in the prestigious Visit Grampians Stawell Gift and 112 women have been given handicaps to compete in the Strickland Family Women’s Gift. The fields include defending champions Jacob Despard and Elizabeth Forsyth, and for the the first time in the history of the 138- year-old event, athlete Maddie Coates has been given a mark of -1m for the Strickland Family Women’s Gift. “It’s so encouraging to see the strong numbers continuing at Easter. It’s exciting because there are so many new junior and female athletes that will be experiencing their first time at Stawell. The Visit Grampians Stawell Gift and the Strickland Family Women’s Gift are shaping up to be thrilling after a number of outstanding performances through this season,” said Tom Burbidge, CEO, VAL. Olympic sprinter and two-time Stawell Gift winner Josh Ross (2003/2005) will run off 2m and will return to attempt a record making treble. “I am extremely excited to be coming back to Stawell for another chance to create history by attempting to win my third Stawell gift, 16 years after my first win. We may not ever see someone take out three Stawell gifts in our life time, so this could be an extraordinary moment in Australian sporting history. As always, I’ll be there to win and to put on a show for my fans,” said Ross. “Stawell remains my favourite race of the year and I will always have a very strong connection with the race and the people who know what it takes to prepare for one of the greatest races in the world,” added Josh. Despard rates Ross’ chances, along with Jason Bailey (10m) and Queenslander Jayden Gilfillan (8m). “It would be awesome if Josh Ross could get the job done for a third time, he just could be that dark horse, with his mark he has the experience and is in good form,” said Rizzo. Rizzo also fancies his own coach Matt Carter (3.5m) and for the women – last year’s winner Elizabeth Forsyth (1.25m), Gold Coast rival Bree Masters (4m) and his training partners Sofia Fighera (5m) and Alexia Loizou (5.75m). Luke Versace, former Stawell Gift winner in 2014 and current Patron of the Stawell Athletic Club favours Jason Bailey, Jack Newman as well as Dhruv Rodrigues Chico trained by Tom Morehouse and running off 7m. Three days of action-packed racing, activities and entertainment make up the 2019 Stawell Gift Carnival. The off-track action is headlined by Fashions on the Field which takes centre stage on Easter Saturday (April 20). Easter Sunday is Family Day at Stawell with The Cadbury® Easter Egg Hunt headlining a fantastic schedule of child-friendly activities including an athletics clinic run by Matt Beckenham, helped by a handful of elite athletes including Lauren Wells fresh from her success at the National Athletics Championships last weekend in Sydney where she won her 12th title in the 400m. Tickets can be purchased online in advance of the Stawell Gift here. Adult concession tickets start from just $15, while Child tickets are free on Stawell Family Day.